Florida's judicial branch publishes statistical information, such as trial court caseload data, supreme court caseload statistics, judicial certification data, and jury management statistics. While most of these publications are designed largely for court audiences, many may also be of general interest, serving to heighten readers’ knowledge and understanding of the purposes, roles, responsibilities, and performance of Florida’s state courts system. The Florida State Courts Annual Report includes court filings data as well as information about the structure of Florida’s judiciary, the state budget, and state courts systems appropriations. Read the Trial Court Statistical Reference Guide posted on the State Courts website. 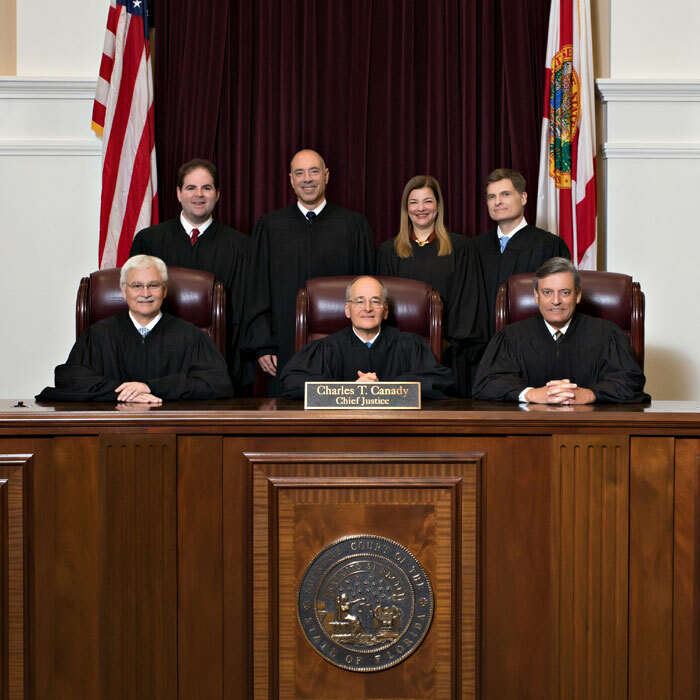 The Full Court Press is the official newsletter of the Florida State Courts. This newsletter aims to present information, to promote communication, and to create a kind of “meeting place” for all the members of our state courts family. The Florida Judicial Branch is using long-range strategic, operational, and implementation planning to respond systematically to the increasing demands and pressures it faces now and will likely face in the future. Strategic Planning assists the judicial branch by seeking innovative solutions that advance the goals of the strategic plan. Read the current 2016-2021 Long-Range Strategic Plan. In December 2015, the Court released its statewide Communications Plan for the entire state judicial system. The Plan is set to be implemented over a 5-year period starting in 2016. You also can read published articles about the Communications Plan. All Supreme Court case files that are required to be preserved by state law or the Florida Rules of Judicial Administration are transferred to the custody of the Florida Department of State. Archived files can be accessed from the State Library in Tallahassee, which is across the street from the Supreme Court Building.